The naming of the mountains is credited to early 19th-century French-speaking trappers—les trois tétons (the three teats) was later shortened to Tetons. At 13,775 feet, the Grand Teton rises more than 7,000 feet above Jackson Hole, almost 850 feet higher than Mount Owen, the second-highest summit in the range. The park has numerous lakes, including the 15-mile-long Jackson Lake and streams of varying length and the upper main stem of the Snake River. Though now in recession, a dozen small glaciers linger at the higher elevations near the highest peaks. Some of the rocks in the park are the oldest found in any U.S. National Park and have been dated at nearly 2.7 billion years! The struggles to preserve this region as a national park began in the late 19th century, and in 1929 Grand Teton National Park was established, protecting the Teton Range's major peaks. The valley of Jackson Hole remained in private ownership until the 1930s, when some conservationists led by John D. Rockefeller, Jr. began purchasing land in Jackson Hole to be added to the existing national park. With repeated Congressional efforts to repeal the measures, much of Jackson Hole was set aside for protection as Jackson Hole National Monument in 1943. 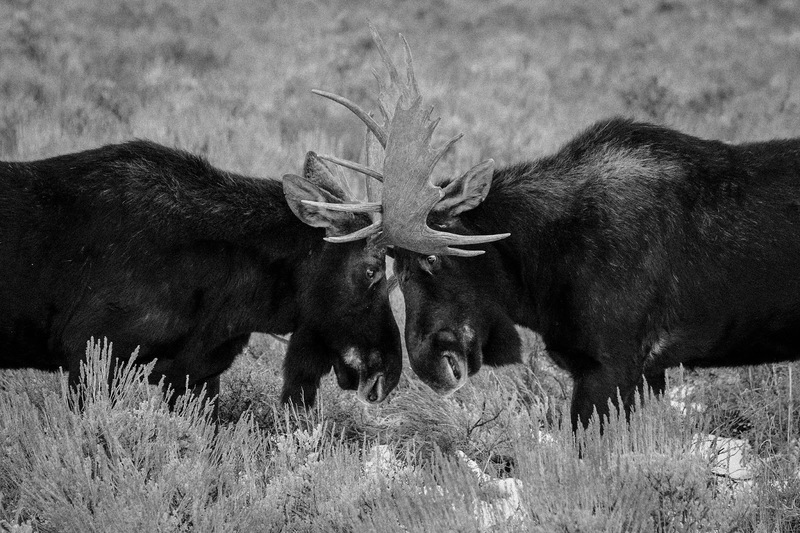 The monument was abolished in 1950 and most of the monument land was added to Grand Teton National Park. The Gardner River (also known as the Gardiner River) is a tributary of the Yellowstone River, and is about 25 miles long. It's located in northwestern Wyoming and south central Montana but the entire river is located within Yellowstone National Park. 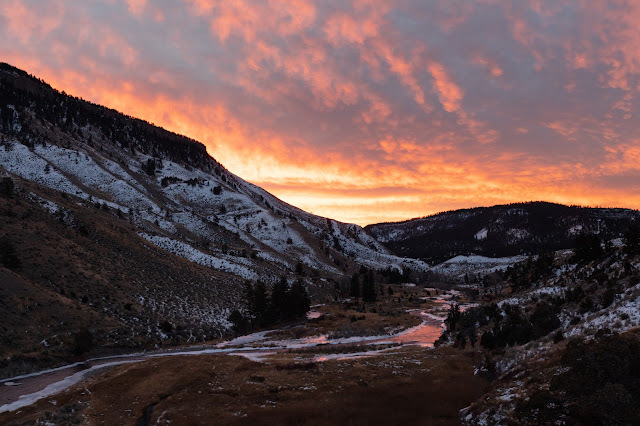 It rises on the slope of Joseph Peak, Gallatin Range in the northwestern part of the park, and winds southeast through Gardner's Hole, a broad subalpine (just below the timberline) basin which is a popular trout fishing location. The river and the town of Gardiner were named for Johnson Gardner who was a free trapper in the early 19th century. In the 1830s, he worked northwestern Yellowstone and sold his furs to the American Fur Company. On September 13, 1869 the Cook–Folsom–Peterson Expedition entered the park region and crossed the river at its mouth on their way up the Yellowstone. 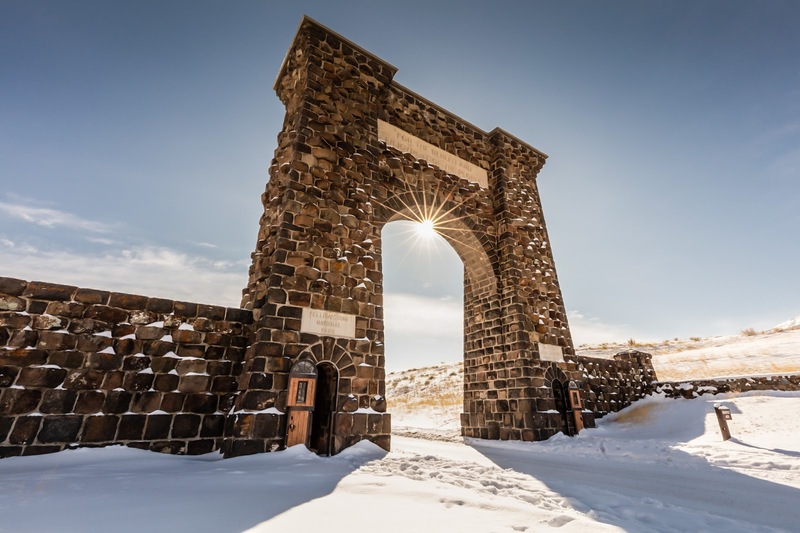 On August 26, 1870 the Washburn-Langford-Doane Expedition entered what was to become the northern boundary of Yellowstone National Park at Gardiner and camped near the confluence before they crossed the river and proceeded south up the Yellowstone river. 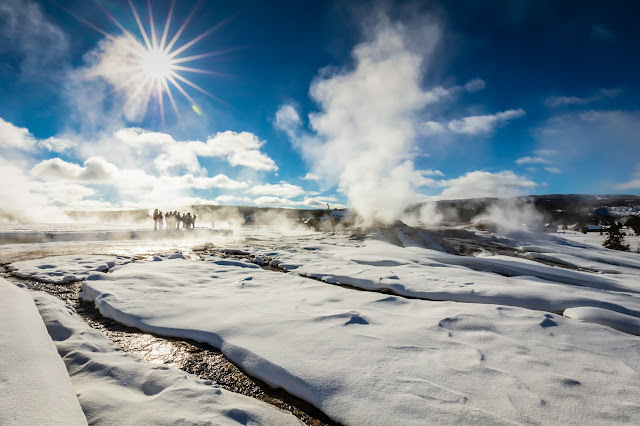 Neither of these expeditions explored the Gardner and so did not encounter the geothermal features of Mammoth Hot Springs. The 1871 Geological Survey of the park region by F. V. Hayden did explore the Gardner and described Mammoth Hot Springs, but the Mammoth area itself was named by an illegal concessionaire Harry R. Hohr who tried to claim land in early 1871 in the newly explored park region. 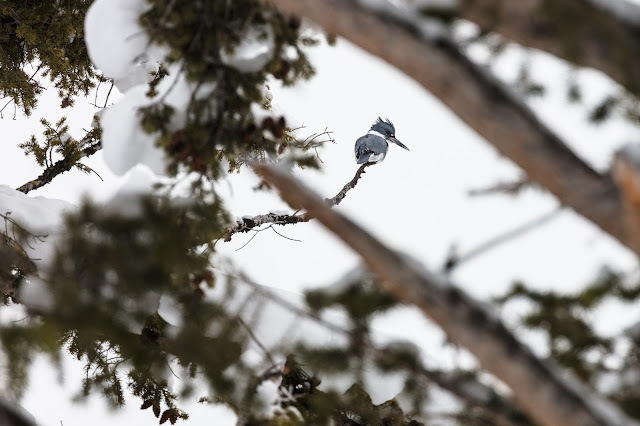 Here is a Belted Kingfisher. He sort of looks like he might be having a bad hair day. No? The Lion Group comprises four geysers which are Lion, Lioness, Big Cub, and Little Cub, and they are all connected underground. Lion has the largest cone and eruptions. Active phases occur each day. Eruptions of Lion Geyser last 1 to 7 minutes and are preceded by sudden gushes of steam and a deep roaring sound, just like a Lion.